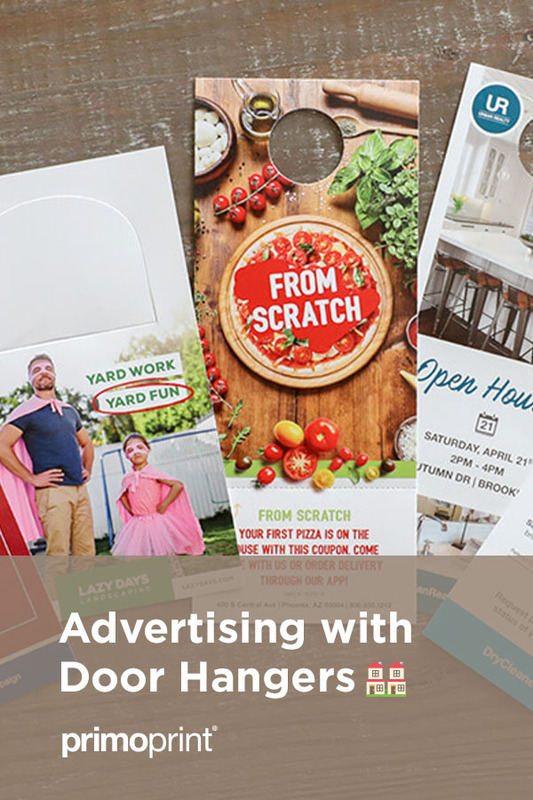 Have you ever considered advertising with printed door hangers? 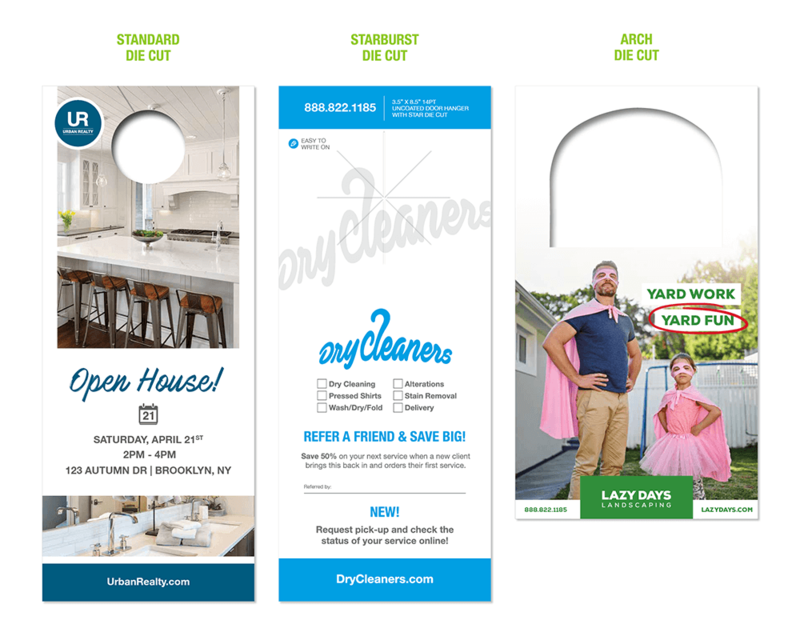 Door hanger marketing is one of the most straightforward and most cost-effective ways to put your brand and services in front of new potential clients. 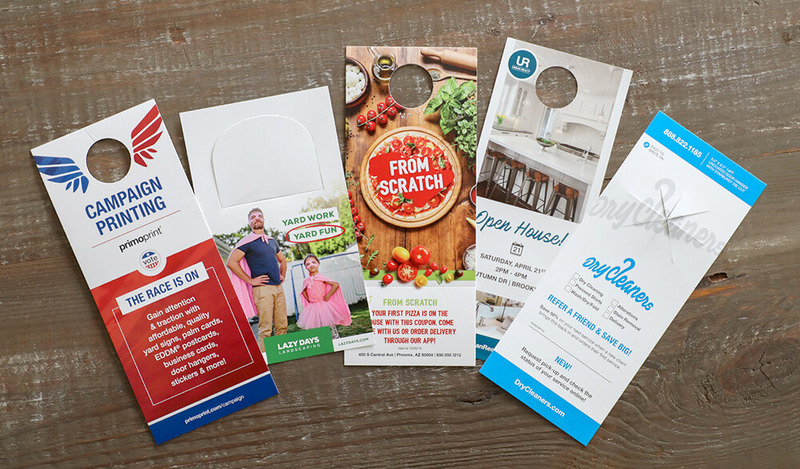 A variety of industries such as landscaping, real estate, dry cleaning, maid services, and restaurants all currently take advantage of marketing with door hangers, but any local business can take advantage of a door to door marketing campaign. So how do you use door hangers correctly? The answer is, keep it simple. From your promotion to your design, you want to send a clear and direct message to your potential client. Let them know what you are promoting and how to participate. Include a coupon! Coupons are a significant motivating factor for clients, and also a great way to track your return on investment. Once your new leads contact you, you can dive deeper into what other services your company can offer. Advertising with door hangers is now more affordable than ever. We’ve permanently lowered the price on all of our door hanger options. 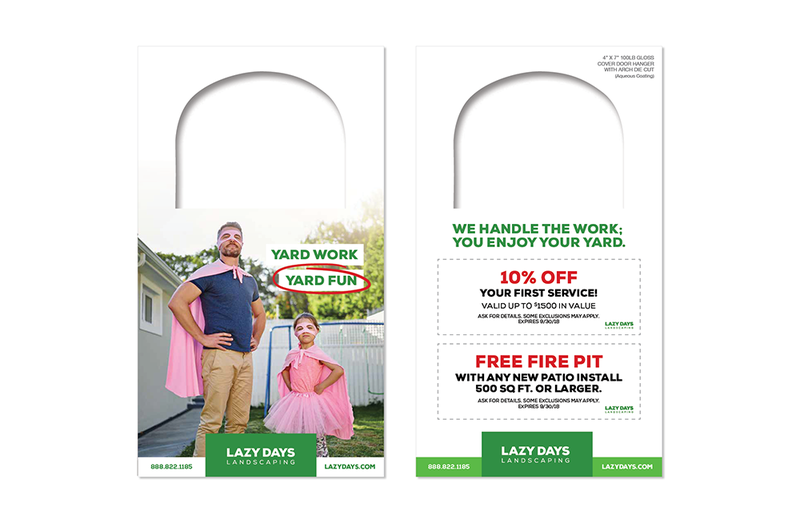 1,000 – 3.5″ x 8.5″ 16PT UV coated, double sided door hangers now start at $127! (Previously $148) We believe in offering everyday low pricing, and we always want to ensure that you receive the lowest possible price. We currently have four-door hanger samples that are available free of charge by request. To request samples, please click here, and let us know in the comments section that you are interested in seeing our available door hanger samples. These samples will allow you to review our four stock and finish options as well as our three available die-cut options and tear-off option.